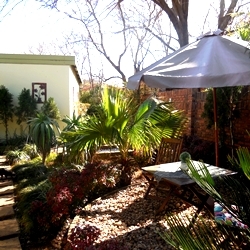 Habitat Guest House is a beautifully decorated guest house situated in the tranquil suburb of Doringkloof, Centurion. Habitat Guest House is ideally situated when conducting business in Centurion, Midrand and Pretoria as it has easy access to the N1 and Fountains Circle. 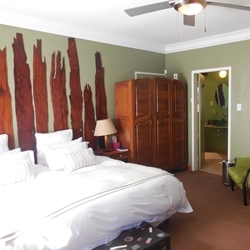 Very comfortable accommodation with great attention to the little details to make our stay enjoyable. Excellent breakfast. We will definitely stay here again. Thank you. Had a good stay. Will consider you on my next booking. We were pleasantly surprised with all the added extras and special touches in the room. We had a lovely warm welcome and were made to feel at home. Could not fault Habitat Guest House on anything, it was spotless, beautiful and very comfortable.